Club Administration Committee – This committee is responsible to conduct activities associated with the effective operation of the club. 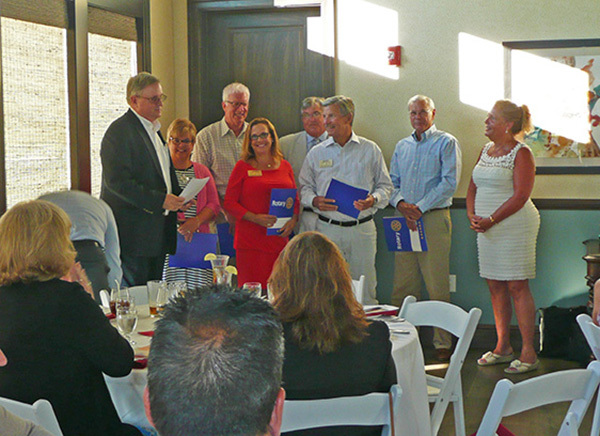 Membership Development and Retention Committee – This committee is responsible for recruiting new members, educating them on Rotary, and making sure that current members are engaged and up-to-date on the organization. Program Committee – This committee works to schedule a presentation at the weekly meetings. These presentations can be from members or businesses and organizations within the region who can provide educational information on a topic. Nominating Committee – This committee consists of the immediate past president and up to two other members at the Chair’s discretion. Their responsibility is to present a slate of open officer positions, normally the president nominee, by the first meeting in December so that a vote can be held prior to Rotary International’s December 31st deadline.